What do you think of when someone mentions customer service? Do you think of a separate desk where employees handle returns and rain checks? Do you think of a hotline for customer complaints and requests? These are only the final steps in a customer’s customer service journey. That journey begins the moment they walk into the store, and the quest’s tipping point stands at the cash register. When you think of customer service, you probably don’t think of point of sale (POS) software. However, to surpass expectations and win return sales, you need to rethink the role of your cashiers. Of all your employees, your cashiers interact with customers the most. Customers usually go straight to the register when they have questions, and every customer who makes a purchase ends their time in your establishment at the checkout. Employees don’t have to be part of the customer service department to play a vital role in customer appreciation. They are the front line of customer service. They provide answers, services, and suggestions. As well trained as your cashiers may be, however, they can still leave customers with unpleasant impressions of your business if employees do not have the tools they need. Nothing ruins a great customer experience like a long line or point of sale errors. Your customers may like your cashier, but your point of sale system represents your business just as much as your employee. If the point of sale system is down, cannot accept the customer’s preferred payment method, or simply takes too long, it will make your entire business appear unprofessional. Even the smallest business with a traditional storefront has a cashier. That cashier may multitask, which makes it even more important to give your front of house employees the tools they need. By the time a customer goes to a separate desk or sends a comment to customer service, chances are you’ve already lost the customer’s trust. Businesses without traditional storefronts need superior point of sale software even more. If a customer never meets your employees, and only uses your online store, their online experience will invariably determine their impression of your business. POS software for online storefronts needs to fulfill the roles of the cashier and the cash register at the same time. In order to find a POS system that meets these demands, businesses should invest in custom software development services. This is the only way to ensure your POS system meets the same customer service standards you hold your employees to. To deliver great customer service, a POS system needs to assist human employees as much as possible. Include your POS system in any planned systems integration updates. A point of sale system that can communicate with bookkeeping and merchandise software cuts back on time and limits errors. This helps your business behind the scenes, but it also allows cashiers to focus on the customer rather than juggling multiple systems. Consider your POS’s current abilities. Can it accept multiple payment types? If the system crashes, or a key piece of hardware, like a card scanner, malfunctions, can you still accept credit and debit payments? Your technical troubles should never interfere with a customer’s experience. When you hire custom software development services, you can augment existing systems with features you need or build a new POS system from the ground up. 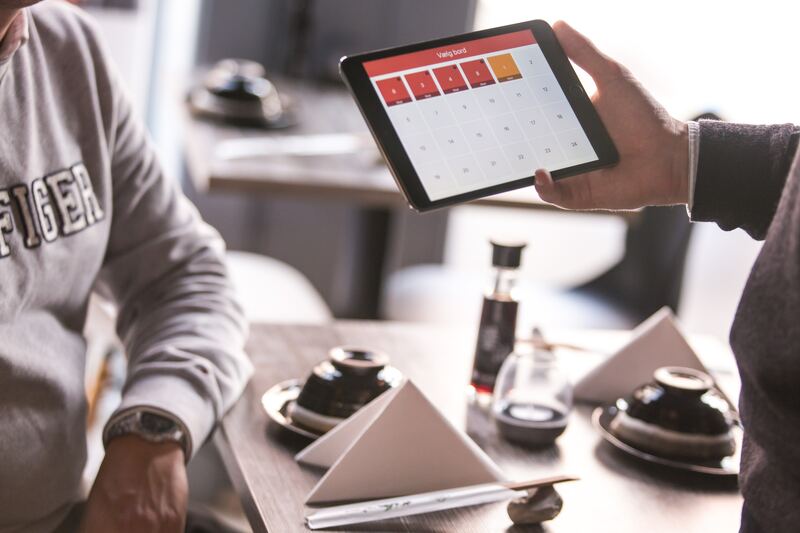 Every business will have slightly different needs, but creating a smooth interaction at your point of sale is critical for future business and repeat customers. Make sure your POS allows cashiers to fulfill multiple functions. Customers will ask questions, especially as the holidays approach. Cashiers have to answer questions about sales, layaway options, return policies, and gift receipts. Customers face extra stress, and your point of sale needs to run faster and more efficiently than ever. By implementing software that keeps merchandise information, policies, customer records, and more, you preempt the worst of the holiday rush. Cashiers do more than finalize sales, but without the necessary tools, they can’t do their jobs at the pace your customers demand. Custom software development services can streamline and improve any part of your business. While the most popular custom software updates often serve your back of house needs, these products can help any aspect of your business. Even if you have a separate customer service department, you must recognize that customer service begins even before a buyer walks into your shop. Cashiers hold a place of authority, and since they are the easiest employees to find, they must answer the majority of customer questions. The right software allows cashiers to fulfill the roles customers expect of them. An online business faces even greater customer service challenges, since no human employee can interact with the customer during the sale. Custom software development services allow you to pack everything you need into a POS system while simultaneously streamlining the flow of information to your back of house. Take care of your customers by giving them what they need where they expect to find it.